The upcoming 13th Moon is known as Soma Pradosham, as it falls on a Monday, . Pradosham is a time for the removing negative karma in all areas of life, like, health, finances and relationships. 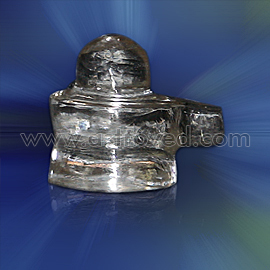 Soma Pradosham is effective for clearing afflictions of the Moon that can cause mental anguish. The Moon is important in astrology because it rules your mind and emotions. Be in a meditative state during the Pradosham time, starting an hour and a half before sunset. 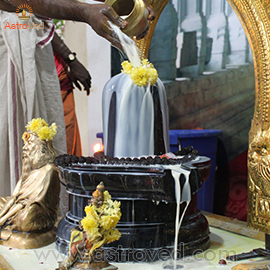 Participate in Soma Pradosham rituals and chant the karma-busting sound “Thiru Neela Kantam”. The Pradosham that falls on a Monday is considered very auspicious as it could reduce the impact of karma accumulated over eons of birth. On March 18th, the Moon will be in the star Hasta, ruled by the Moon, in the zodiac sign Virgo. The Moon will receive the aspect of Saturn, thus making the day optimal to work on improving health. Monday Pradosham is a perfect day to get rid of karma done by our thoughts and emotions and clear the karma accumulated through hurting others and being non-forgiving. Participate in the Soma Pradosham Essential Package . The Pradosham rituals can be helpful to clear your bad karma and bring lucrative opportunities in life. 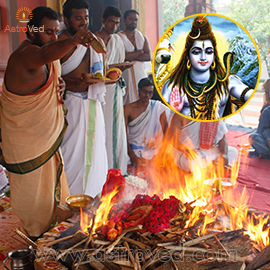 Karma-Diffusing 13th Moon Hydration Solution ceremony to Shiva and sacred bull of Shiva by chanting Laghunyasam Rudra Prasnam and Chamaka Prasnam at the AstroVed fire lab and Remedy Center Soma Pradosham day. Laghunyasam is the short form of Mahanyasam, which means ‘Great Purification’. 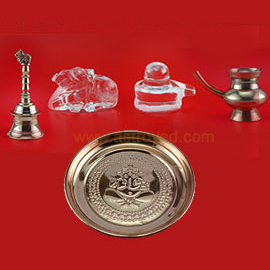 It is a set of Vedic mantras recited to purify mind, body and soul before performing Rudra Abishekam (hydration ritual). A bilva leaf archana to Shiva chanting Rudra Trishati (300 names of Rudra) will also be performed on Mar. 18th (IST). Rudra Trishati Archana is a sound and light ritual performed to Archetype Rudra using the verses from Sri Rudram. It is the only form of Archana to Rudra (Shiva) mentioned in the Vedas. The highlight of this Archana is the 300 Bilva leaf offering to Rudra. 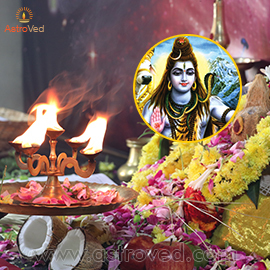 The most terrible karma is destroyed when a Bilva leaf is offered to Lord Shiva. Please Note:The shipment of your prasad starts from Chennai, Tamil Nadu a week after the entire set of rituals is performed. For international shipping, please allow 2 – 4 weeks for delivery. Participate in the Soma Pradosham Enhanced Package . The Pradosham rituals can be helpful to clear your bad karma and bring lucrative opportunities in life. A bilva leaf archana to Shiva chanting Rudra Trishati (300 names of Rudra) will also be performed on Mar. 18th (IST). Rudra Trishati Archana is a sound and light ritual performed to Archetype Rudra using the verses from Sri Rudram. It is the only form of Archana to Rudra (Shiva) mentioned in the Vedas. The highlight of this Archana is the 300 Bilva leaves offering to Rudra. 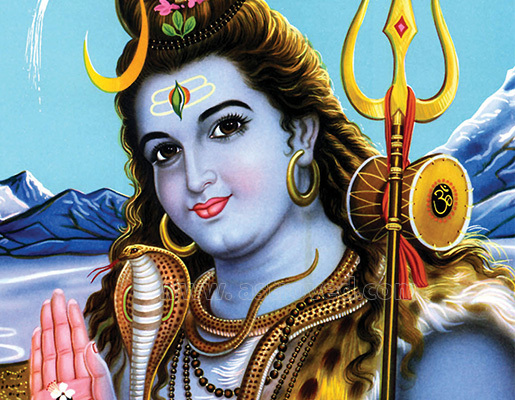 The most terrible karma is destroyed when a Bilva leaf is offered to Lord Shiva. Participate in the Soma Pradosham Elite Package. The Pradosham rituals can be helpful to clear your bad karma and bring lucrative opportunities in life. Please Note: The shipment of your product and prasad starts from Chennai, Tamil Nadu a week after the entire set of rituals is performed. For international shipping, please allow 2 – 4 weeks for delivery. Pradosham is a technique to cleanse oneself of sins. It helps in dissolving our negative karma. Pooja is a sacred practice performed to establish a connection to the cosmic energies or a specific archetype.